They've come to know the water man by the rumble of his engine. And his lifesaving cargo. 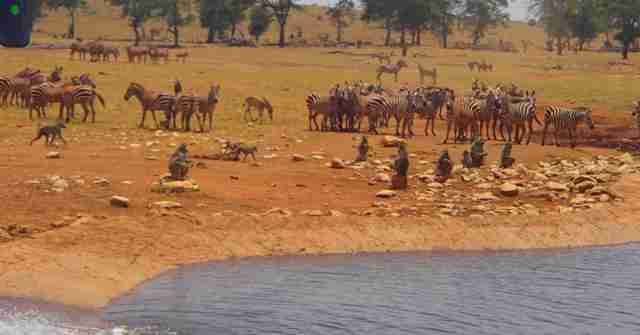 "There is completely no water, so the animals are depending on humans," Mwalua tells The Dodo. "If we don't help them, they will die." Mwalua fills the bone-dry watering holes in the region, driving for hours on end every day to haul water to where it's most desperately needed. The holes themselves, lined with concrete, often need cleaning - Mwalua blames it on buffalo droppings - and sometimes, he will just hose down an area of cracked earth for the grateful animals. 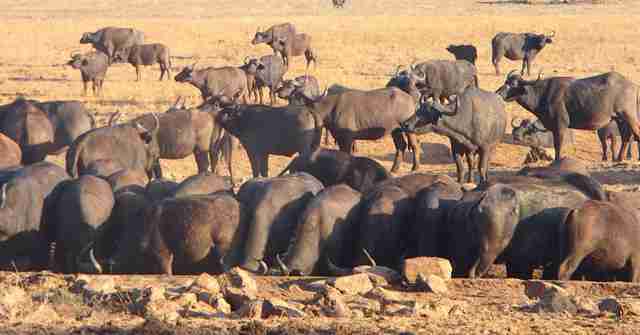 "The buffalo roll in the mud so they suffocate the fleas and ticks," he says. 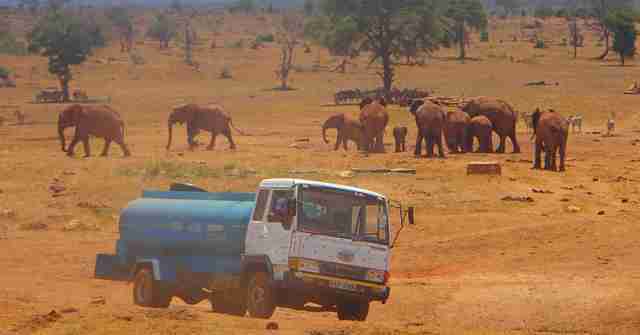 Many animals don't even wait that long, fearlessly crowding the truck as Mwalua cranks the tap. 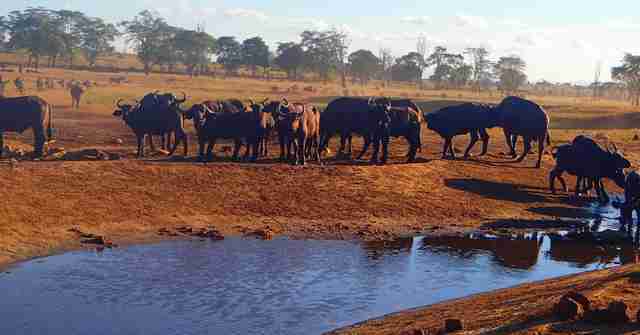 "Last night, I found 500 buffalo waiting at the water hole," he says. "When I arrived they could smell the water. The buffalo were so keen and coming close to us. "We aren't really receiving rain the way we used to," he says. "From last year, from June, there was no rain completely. So I started giving animals water because I thought, 'If I don't do that, they will die.'" 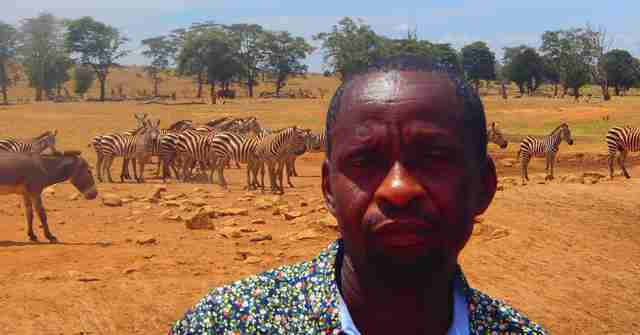 Between road trips, Mwalua runs a conservation project called Tsavo Volunteers. 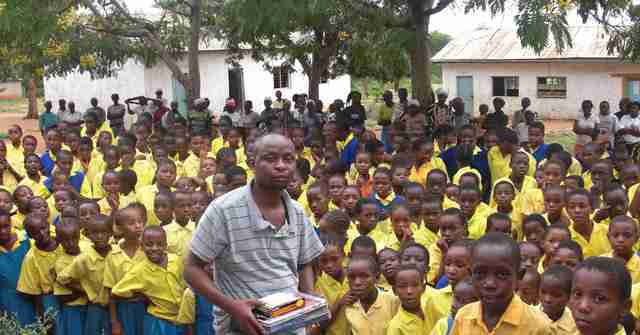 The 41-year-old also visits local schools to talk to children about the wildlife that is their legacy. "I was born around here and grew up with wildlife and got a lot of passion about wildlife," he says. 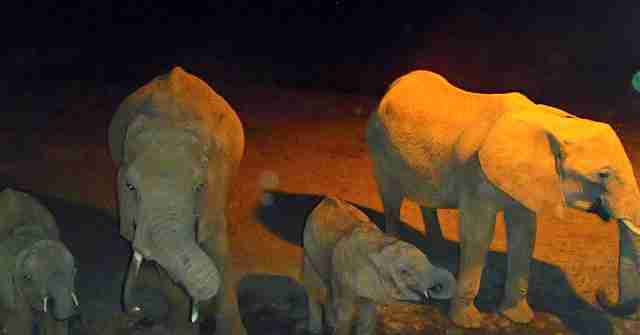 "I decided to bring awareness to this so when they grow up they can protect their wildlife." 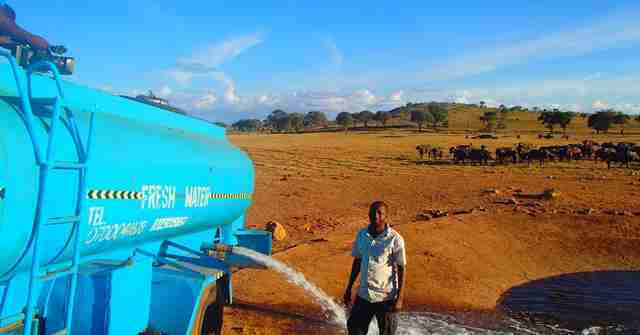 Last year, Mwalua started renting a truck and driving water to several locations in Tsavo West. His mission would extend to several trucks, keeping him on the road for hours every day as he drives dozens of hard miles between stops. "The truck is heavy and doesn't go very fast," he says. "We have to be very patient and go deliver water." But his lifeline has also extended from that hose in Tsavo West all the way to the United States - where three women, who have never met him or each other, help him keep the taps flowing. "I visited Kenya December of 2015, though I didn't know Patrick at the time or meet him," Angie Brown, who lives in Connecticut, tells The Dodo. But the country, and especially the plight of its animals, haunted her. When she heard about the most recent drought, Brown connected on Facebook with Cher Callaway and Tami Calliope. The trio - Callaway lives in Utah and Calliope in Vermont - decided to help. 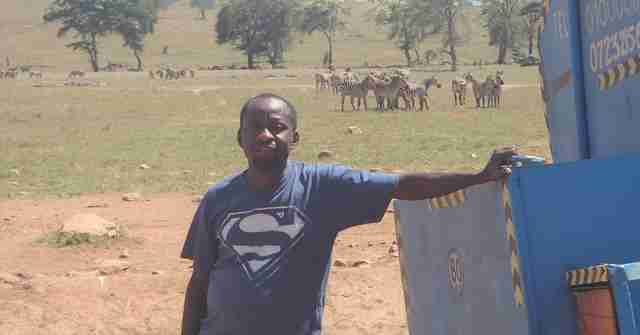 Callaway, who has worked with Mwalua on several projects - including fundraisers for beehives and night patrols to gently scare elephants away from villages - says Kenya's water delivery man is keeping animals alive during the current drought. "His commitment to the wildlife and his heritage is unmeasurable," she tells The Dodo. 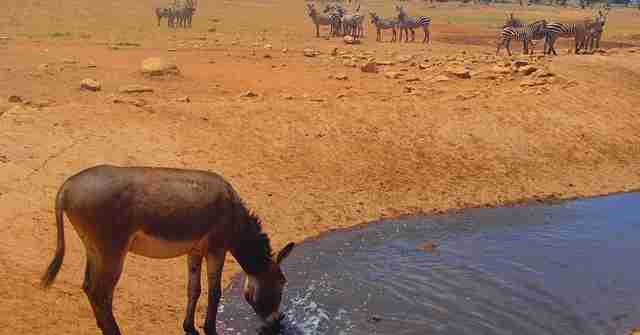 "Even risking his own life in the middle of the night to deliver water to a dry water hole." Callaway set up a GoFundMe page that has so far collected more than $18,000 from people around the world - all of it going toward Mwalua's water delivery service. "We have all spent a lot of time getting the word out about the animals Patrick is helping and the GoFundMe has been a real success," Brown says. "He needs so much more money though." In fact, they're hoping to soon buy him his own truck. But one way or another, Mwalua will keep rumbling down those dusty roads. Many miles to go. And many more thirsty mouths. Want to help? Consider making a contribution here.